Home / Ace • Conventions • NEWS / SDCC! Black Eyed Peas Release Masters of the Sun Graphic Novel! Signings! Panel! SDCC! 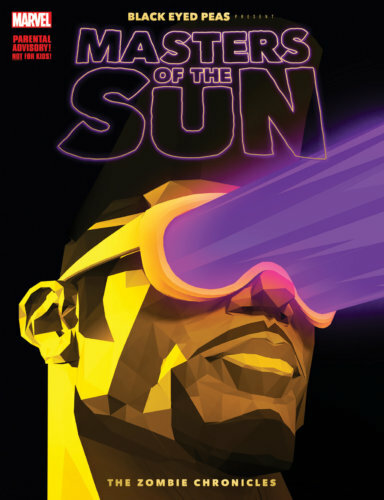 Black Eyed Peas Release Masters of the Sun Graphic Novel! Signings! Panel! San Diego July 20, 2017–Global recording artists and music hit machine the Black Eyed Peas have arrived in San Diego to participate in Comic-Con International 2017. The band members will be appearing at poster signings, Q&As and panels to promote the release of their first graphic novel, “Masters of the Sun–The Zombie Chronicles” as a part of the Black Eyed Peas celebration of 20+ years of creative collaboration and pushing boundaries across music genres, within video imagery, digital content, and now, the graphic novel print form. Black Eyed Peas’ appearance schedule includes: a Q&A followed by a poster signing at the Marvel booth #2329 on Friday July 21, 2017 from 1:30PM – 3:15PM at the San Diego Convention Center (SDCC); and a Comic Track panel discussion with Marvel from 3:00PM-4:00PM in Hall 6A SDCC on Saturday July 21, 2017. On Saturday, will.i.am will also participate on a tech-focused panel at VR Con, hosted by Mira Labs from 6:30PM-7:30PM – Omni Hotel Grand Ballroom. “Masters of the Sun” plotline synopsis: The fictionalized saga begins with the City of Los Angeles under attack by aliens, while humans are morphing into zombies. The main character, Zulu-X, who also has a penchant for Hip-Hop, is thrust into the middle of the action-packed adventure, fighting a nefarious ancient order with the combination of wisdom and street smarts. Blending music with comics, “Masters of the Sun” draws upon will.i.am’s personal story from his youth in the 1980’s, and embodies real-life social allegories that include L.A. gangs, Hip-Hop and street dance culture. The over-sized graphic novel is now rolling on to bookstore shelves, and retails for MSRP US$39.95. Creative team behind the project: “Masters of the Sun–The Zombie Chronicles”, published by Marvel Entertainment, Inc., is presented and produced by The Black Eyed Peas (will.i.am, TABOO, and apl.de.ap), and was written by will.i.amand Benjamin Jackendoff, based upon an original story by will.i.am and Nir Studnitski. Executive Production services were provided by Polo Molina and Sara Ramaker. The art team features noted comic pencil artist Damion Scott and colorist Sigmund Torre, with color assists from Takoko Sono and Jim Krueger, consultant. Letter design was created by Dave Lanphear at A Larger World Studios. The book’s cover art team, spearheaded by will.i.am, also includes Pasha Shapiro, Erik Weber, Eddie Axley and Cody Achter. Packaging and logo design was developed by Eddie Axley, Cody Achter, Po Wang and Monika Arechavala. SDCC! Sideshow Collectibles Release! Justice League! Aliens! Thanos! Hulk! Fall Preview Recap! Derek Says Which Shows You Should Stream and Which Ones You Should Skip! 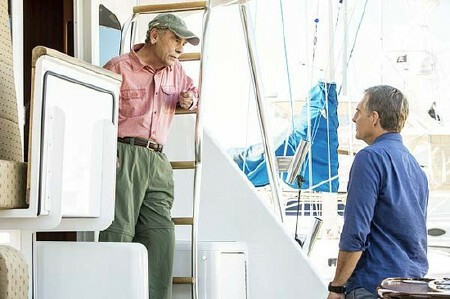 CBS Renews 11 Returning Series! Studio Remains Silent On Newer Shows!